Graduation Party Guest Book Idea With Free Printable! Do you have a child graduating this year? Planning a graduation party is all about capturing the memories of your child’s last 18 years and looking to their bright future. Traditional guest books are boring and it left me looking for a more fun and functional idea that would still capture a guest’s signature. This graduation party guest book idea is SO easy and I love that it is different than a traditional guest book. 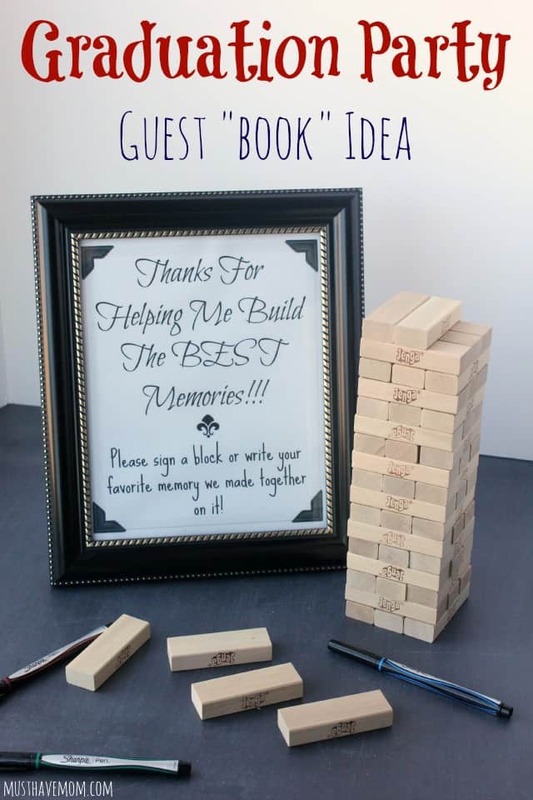 Invite guests to sign a Jenga block or jot down their favorite memory on a block. Your child can then keep the Jenga game and play it while away at college, all while reliving memories and remember special people in their life. You can print off my graduation memory sign to put in an 8×10 picture frame next to your blocks for free here: Graduation Memories Free Printable. 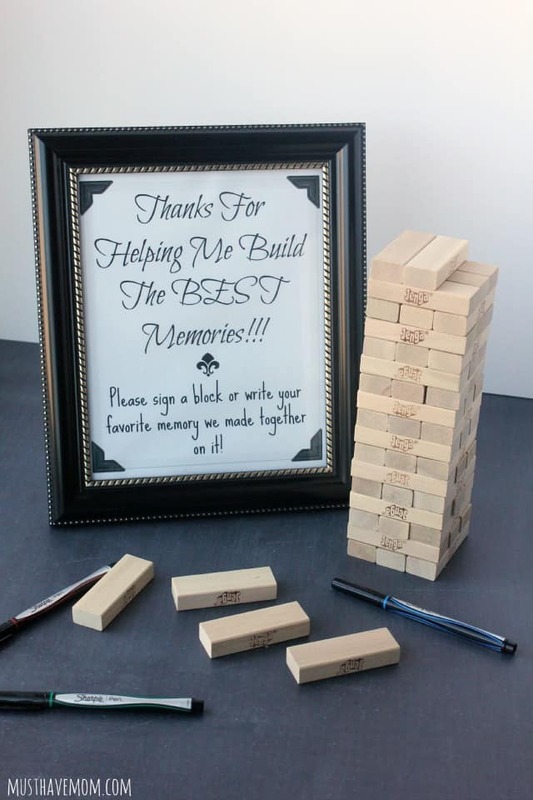 Put out some fine tip permanent markers along with the Jenga game and let your guests sign the wood blocks! You can also put out a bowl for guests to put their finished blocks in if you’d like. Alternatively guests can sign their block and build the Jenga tower with each completed block! 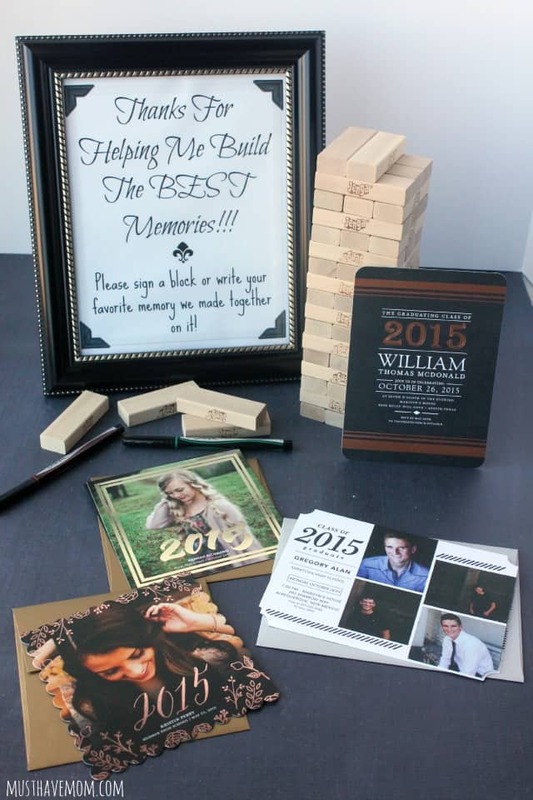 Don’t delay in ordering Graduation Announcements as you are planning your graduation party! My favorite graduation cards are shown here and I found them on Tiny Prints site. I LOVE their cards. I have used them for my baby announcements and have never been disappointed. The quality is outstanding and the selection can’t be beat. As you are planning your graduation party don’t forget the announcements, party invites and the innovative guest book idea I shared! Print off your free printable sign and pick up a Jenga game and some fine tip permanent markers and that’s it! Easy and modern! Pin this post for later or print your graduation sign now! 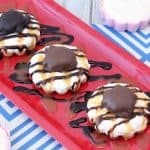 What are your favorite graduation party ideas? 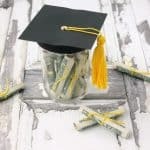 DIY Graduation Gift Idea! 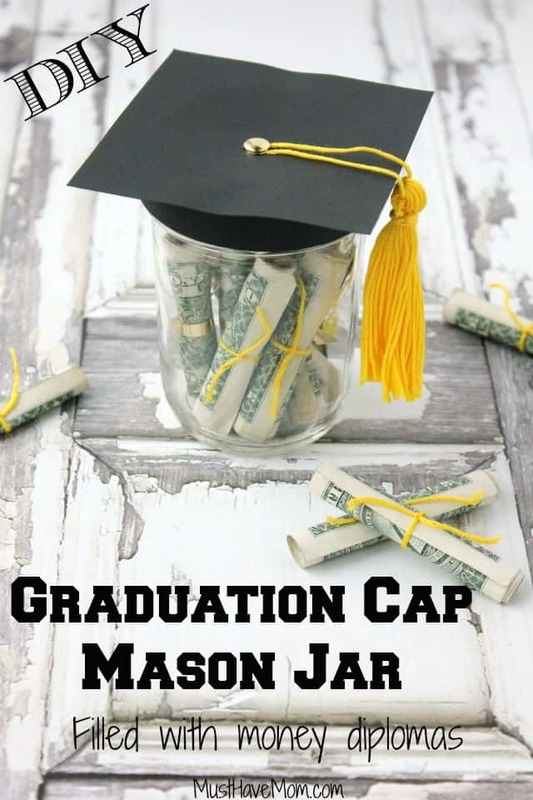 Graduation Cap Mason Jar Filled With Money Diplomas! 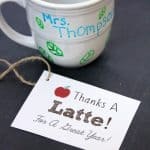 DIY Personalized Teacher Mug + “Thanks A Latte” Free Printable Gift Tag! 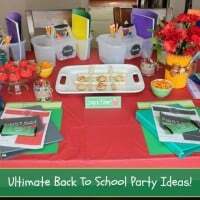 Throw The Ultimate Back To School Party For Kids: After School Snacks, Free Printables, DIY’s & More! « An Innovative Way To Encourage Your Kids To Read! That is an amazing idea for graduation! I don’t know of any graduates this year, but will keep this idea in mind for later years. What cute ideas, I love them.